This is fantastic - a little bible for wannabe writers. I'm still trying to find my magical pen though! Just received this today from Katchie as a loan - thanks! 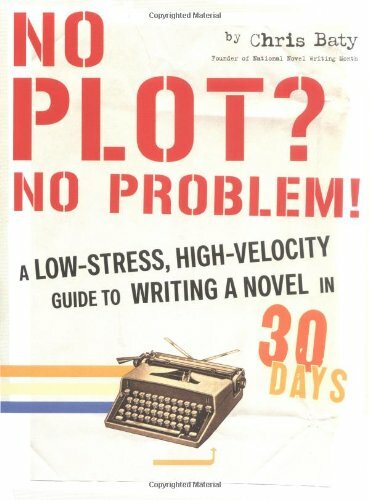 I need to read before starting the NaNoWriMo challenge in November (write a novel of 50,000 words in 30 days! Oh dear, real life got in the way, and my NaNoWriMo challenge just didn't get off the ground :-( 2006 maybe? I've got a plot and some notes, so they'll keep I guess! This book was a great read though, with lots of good examples, humour and ideas for helping you to write and tell your story. I was encouraged by the fact that 50,000 novels include such classics as HHGG! My favourite idea in this book was that of banishing your inner editor - I think i need to use this idea in other parts of my life! "That's tight, the Inner Editor. The doubting, self-critical voice that we all inherited around puberty as an unfortunate door prize for surviving childhood. The Inner Editor is a busybody and perfectionist, happiest when it's tsk-tsking our shortcomings and weaving our past blunders into a rich tapestry of personal failure." Posted from Canary Wharf as I escaped the office at lunch - on it's way to AliceF - good luck if you try the WriNoMo challenge! Thanks! Truly hoping to apply the learning to the challenge proper, but not certain yet how realistic that will be. Sent back to Katchie a couple of weeks ago (sorry for the delayed JE), in time for her to try the challenge... I've read enough inspiration to get me through it... if I get the inspiration of what to write about! Released as part of the "Keep Them Moving Challenge 2006".